New Experiences + New Recipes= Christmas Dinner ! Getting tired of the same old mashed or baked potatoes? Want to try something new for Christmas dinner? Here is a new, fun method that can spice up your experience with potatoes. Potato Casserole. This dish is extremely tasteful, creamy, and delicious. Always having this dish on Christmas Day is a family tradition for my house. 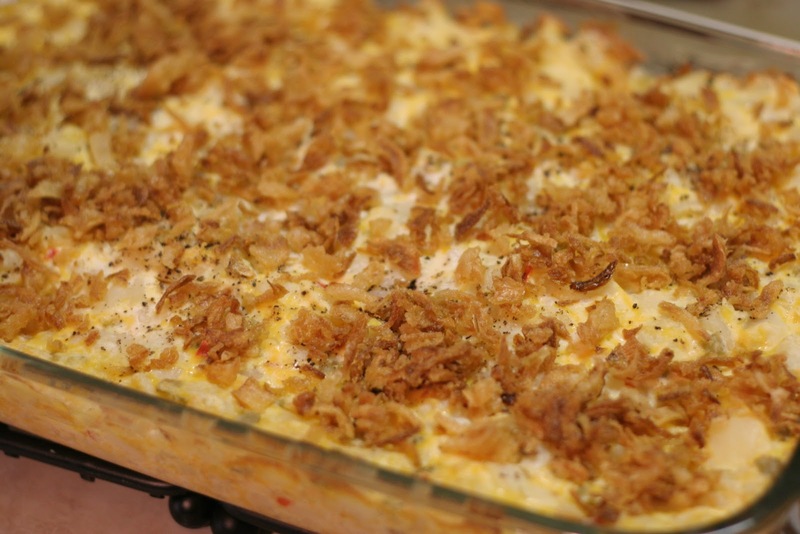 I love the Potato Casserole dish so much that I always want to have it every day. This dish is especially good for leftovers as well. If you want to experience a new dish involving potatoes, follow the simple recipe below! 1. Preheat oven to 350 degrees. Butter in shallow 1 1/2 quart baking dish. 2. In large bowl, break up potatoes (don’t need to thaw). 3. Continue with soup, sour cream, cheese, onion, salt and pepper . 4. Add to potatoes and mix thoroughly. 5. Mix the ingredients into the baking dish. 6. Combine butter and Chex crumbs until evenly coated. Sprinkle over potato mixture. Enjoy the Potato Casserole dish ! !